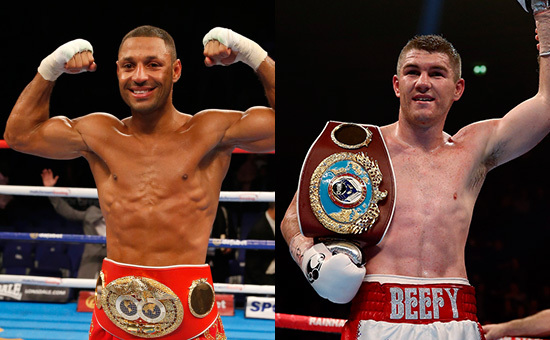 Kell Brook- how about a beefy blockbuster with Liam Smith? Brook wants a biggie – so how about a beefy blockbuster with Liam Smith? 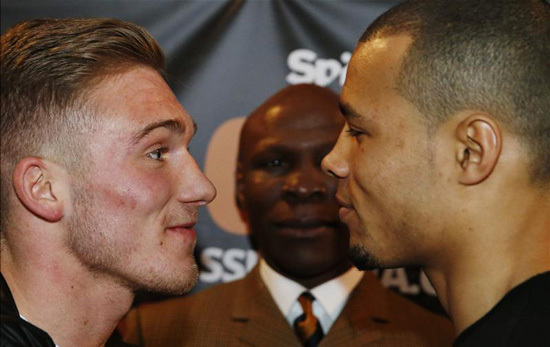 Which of tomorrow night’s televised fights will be a turn-on for the viewers? Sky’s showing of Kell Brook’s IBF world welterweight title defence against ho-hum Canadian Kevin Bizier in Sheffield or the domestic dust-up between champion Nick Blackwell and Chris Eubank jnr for the British middleweight title at Wembley on Channel 5? They clash, but for me it is a no-brainer. Unless something very surprising occurs, Brook’s first outing in the best part of a year is a formality. But down south, while cocksure Chris will start favourite, Blackwell is a tough and seasoned character who will give him one hell of a fight. He doesn’t lack confidence or resolve. As I have said, young Eubank should not even be fighting for the British title when he could have earned more kudos – and readies going for a world title. But that’s his dad’s choice, one they may both regret. This could be a closely-fought points decision which goes either way but also keep an eye on exciting young heavyweight Hughie Fury, who fights seasoned Texan Dominick Guinn (who once beat Audley Harrison) as a prelude to his first of regular appearances on Queensberry Promotions shows at the Copper Box on April 30. As for Brook, the form-line really tells you all you need to know. The Canadian is a mandatory, but his one defeat was against Jo Jo Dan, best remembered (or forgotten) here for his hopeless performance against Brook last year. This should be pretty much a stroll for Brook, but whether the ‘super salesman’ sells out Brook’s home town arena remains to be seen. Brook has been out of action since the end of May due to a rib injury forcing him out of what would have been an attractive fight with Diego Chaves. He says he yearns for a real biggie and is clearly frustrated now that a lucrative showdown with Amir Khan has gone out of the window because of Amir’s brave decision to move up a couple of weight divisions and go after Canelo Alvarez. So Brook has been left in the lurch. He says he wants an exciting, competitive fight. Well, here’s one for him to consider once he’s disposed of Bizier. How about another domestic blockbuster –with Liverpool’s Liam Smith? That’s a fight we’d do in a heartbeat. The discerning viewer may well wish to tune in later to what could be a compelling scrap live and exclusive on BoxNation (starting at midnight) between one of the current greats, Andre Ward, the former super-middleweight world champion who is moving up to light-heavyweight, against unbeaten Sullivan Barrera. Obviously ‘Son of God’ Ward is eyeing some potentially mouthwatering clashes against the likes of Sergey ‘Krusher’ Kovelev or Adonis Stevenson. But Barrera, a Cuban-born resident of Miami, is no mug. He has moved into world class with notable victories last year against Jeff Lacy and Karo Murat. Ward has not been the most active of fighters of late, but after signing with new promoters RocNation we will be seeing much more of him. With home advantage at the Oracle Arena in Oakland this should be a good fight for the connoisseur, and a tactically intriguing one.